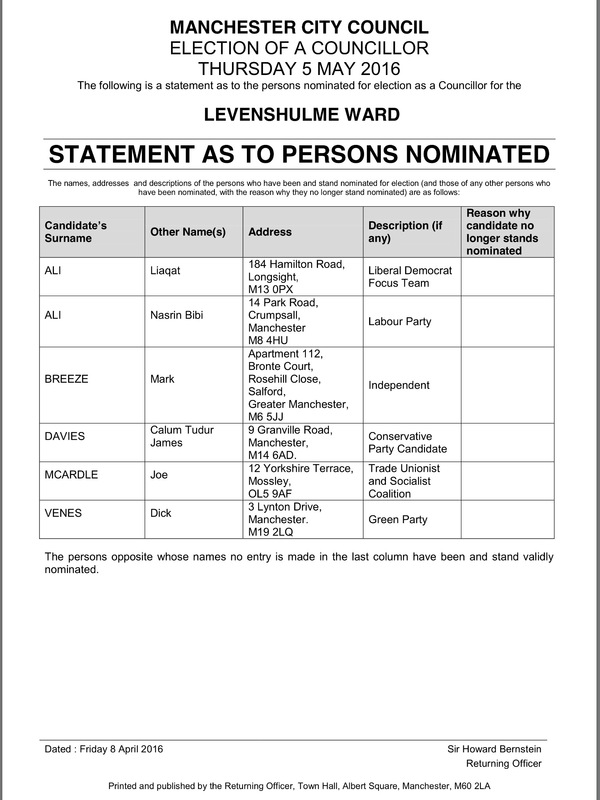 Once again Levenshulme Community Association is organising hustings for the local elections. All candidates have been invited. Everyone is welcome. These are open, public meetings and an opportunity for anyone to ask questions of any candidates in the May local elections. 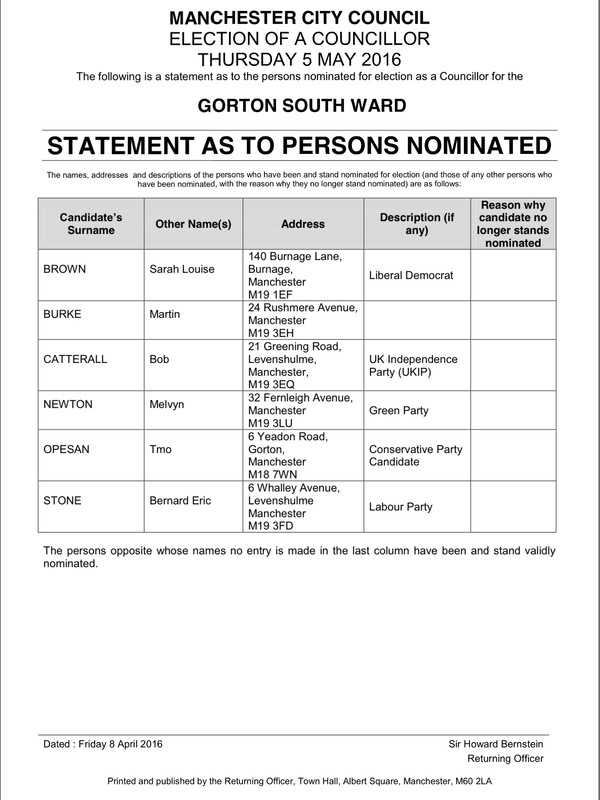 This entry was posted in business, community, consultation, councillors, events, Inspire, Klondyke, LCA, manchester, Planning, politics by Jeremy Hoad. Bookmark the permalink.